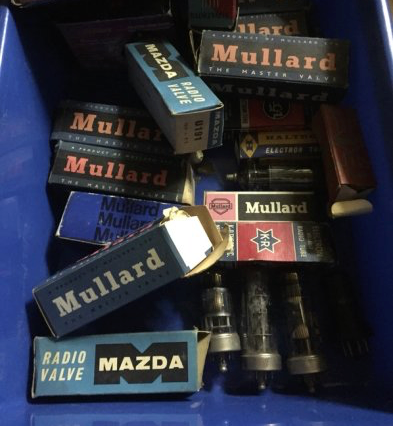 Today I received a delivery of a box of vacuum tubes, all primarily TV valves from the 1960s & 1970s. Was hoping for some radio valves, but no joy. At least I have these for future projects or I will sell them on eBay over the coming months; or maybe I’ll use a few of these in a couple of experiments. What to you think, anyone got some ideas? I suppose the first step is to try to find out something about the ones indicated with “??”. Some of these are models that I haven’t heard of before, so there is a little bit of homework to do over the next week or so. 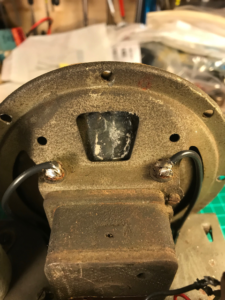 While on the journey of repairing a vintage Ultra Electric R506 valve radio, one item that I left until the end was the repair of the speaker cone. Trying to find replacements (new old stock) for these devices is very hard and in most cases you end up taking parts from another unit (working or non-working). I try to avoid this practice, as this removes one more vintage radio from circulation. In this speaker there were two nasty tears and a couple of holes in the paper cone. The centre of the speaker was intact, so that was a good starting point and I decided to attempt to repair the speaker cone. In some cases replacing the cone would be the only option, but for this repair, I remembered an old trick that my father had used back in the late 70’s. As these old radios use a paper composite speaker cone, it is possible to repair some of the damage. 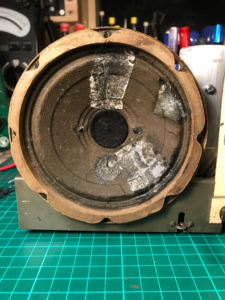 Although it doesn’t look very pretty afterwards, the speaker will still be functional, and should sound better. Flat piece of wood (lolly stick). Tear a piece of kitchen towel to cover the tear in the speaker (it should be about 1 cm wide to cover both sides of the tear). Separate the plus of the paper towel and using just one ply, apply the PVA glue to the paper towel. Ensure the PVA glue covers all of the paper towel. I find it helpful to place the piece of paper on the top of a finger and then cover it with the PVA glue. 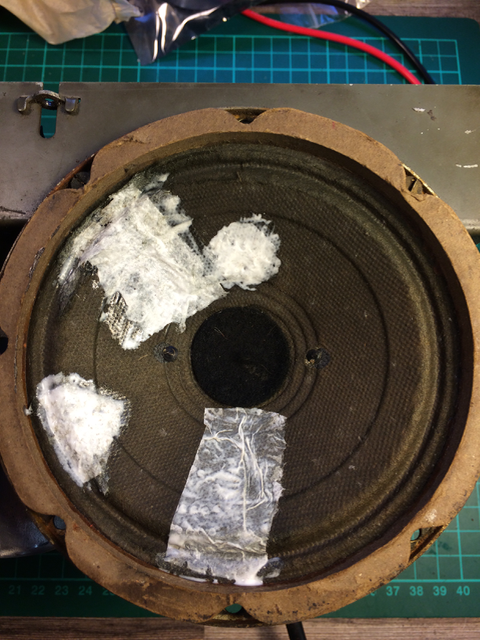 Carefully apply this piece of paper towel, with PVA glue, to the tear on the speaker. Using the flat side of the wooden stick, centre the piece of the paper towel over the tear. Spread the PVA glue over the edge of the paper towel on to the speaker cone. This will cause the fibres of the paper towel to break apart and become bonded with the paper in the speaker cone. 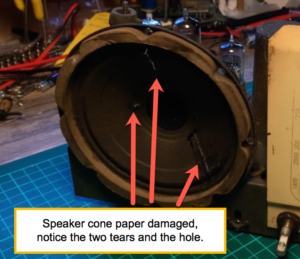 So, with my speaker cone, I patched the back where the tear in the paper was bad (as you can see below), to help reinforce the speaker. Once I patched the various holes and tears, it was left to dry for a day. 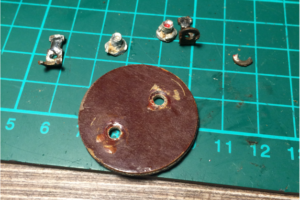 After a day, upon inspection, I could see that the PVA had dried and the repair was successful. When I checked the patches they still flexed when the speaker cone deflected, which was correct. When I tested the speaker, it did sound much better than before. 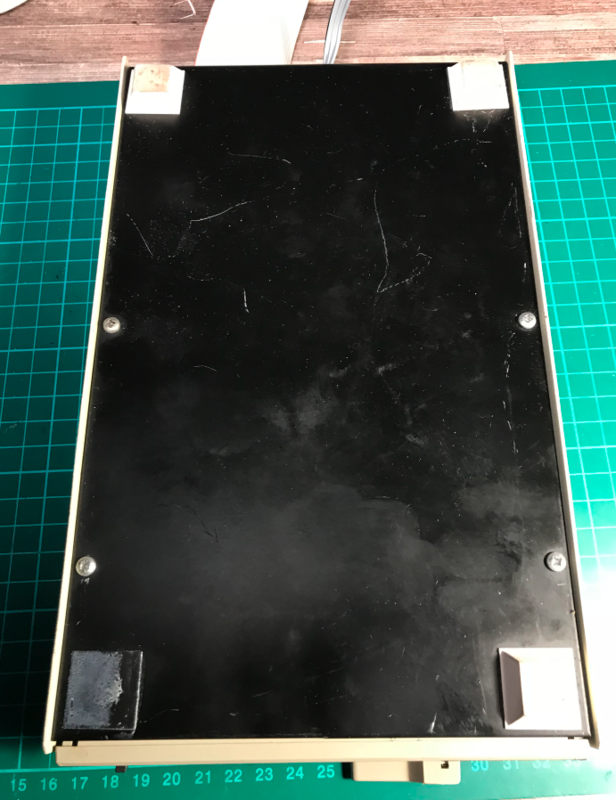 Although the speaker did not look very nice, it would be covered by the speaker grill in the radio chassis, so I decided not to spray the speaker cone with any paint. 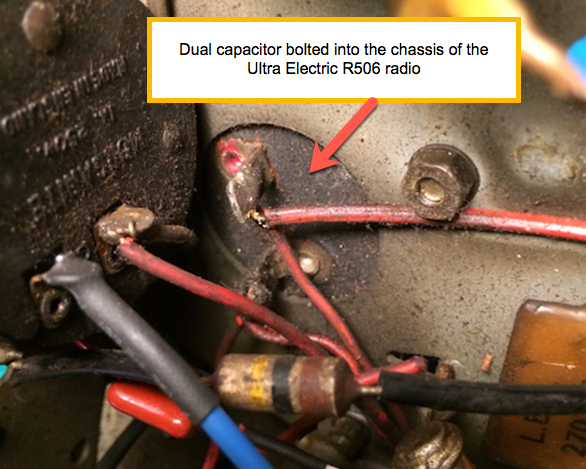 In a recent repair, I experienced an issue where one of the main electrolytic capacitors in the radio had gone faulty. The radio was an Ultra Electric R506 circa 1945, and the capacitor was an old style can capacitor that had two capacitors in the one can. 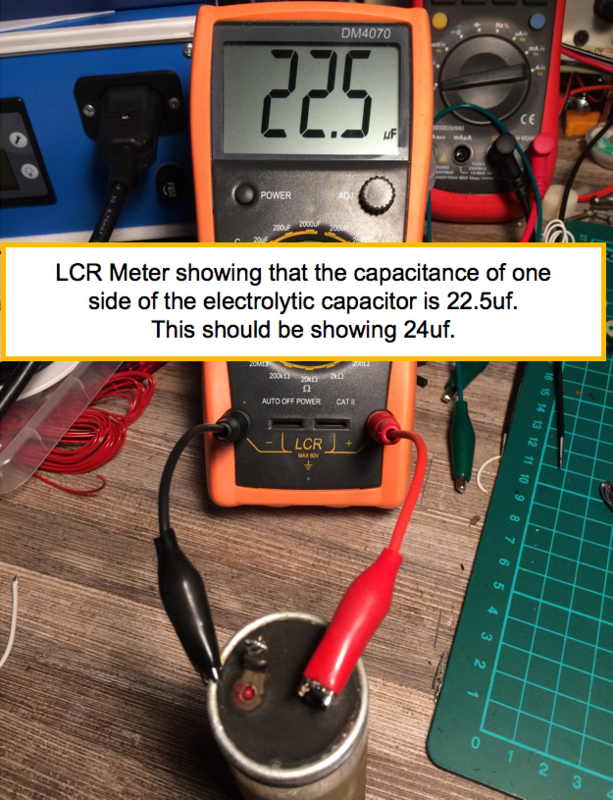 The can capacitor used the outside chassis as the common of the two capacitors (notice the red mark on the base of the capacitor that indicates one of the values of the capacitor). 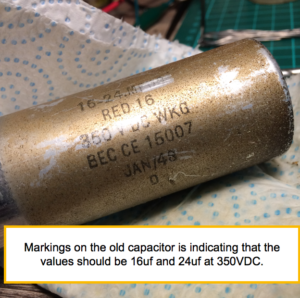 As you can see from the marking this capacitor has two values, a 16uf and a 24uf capacitor (the 16uf capacitor is on the terminal with the red indicator). 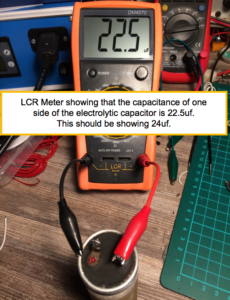 While testing the part, I identified that one of the capacitors in the can had a value of 22.5uf, when it should have read 24uf. When I tested the capacitor for leakage, it was, so this will need to be replaced. The second capacitor in the can had a value of 7uf, where it should have had a value of 16uf. It was also leaking badly, so that capacitor will need to be replaced. I could have installed two new capacitors on the underside of the chassis and disconnected the terminals from the old can. While this would have worked it would not have looked professional. 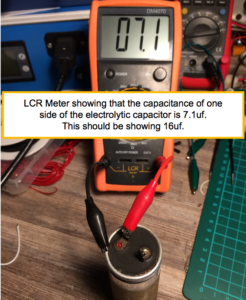 My other option was to re-stuff the capacitor can with two new capacitors (modern capacitors are smaller and should fit in the old style can). I prised open the metal seal covering the terminal block, by inserting a small flat edge under the metal lip, and slowly working the way around the top of the capacitor. If you take your time with this step, you should be able to open the capacitor without tearing the metal of the seal. 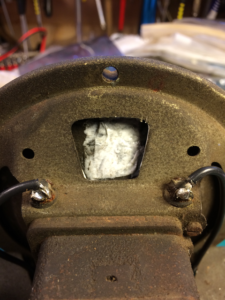 Once opened, the next step was to disassemble the old capacitor and remove the old electrolyte and plates from the can. Once this was completed the next step was to prepare the old terminals for new capacitors I would install. I drilled out the rivets for the old terminals and disposed of these. 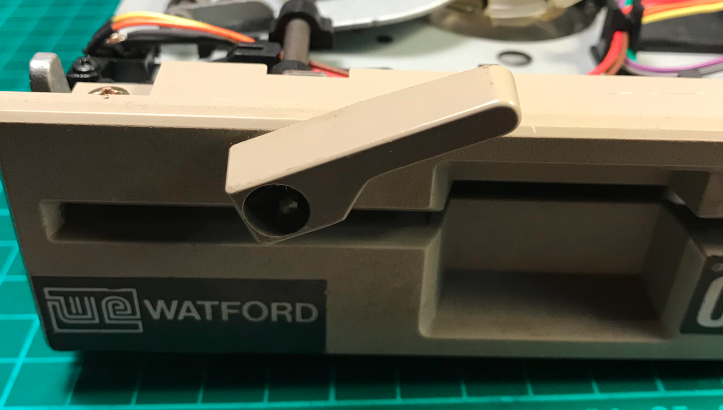 Following on from this, I built up the new terminal which was going to mount the new capacitors and connections (for the capacitor). 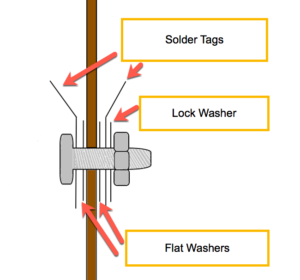 This new terminal was constructed from an M3 nut and bolt with a couple of solder tags, flat washers and a lock washer. 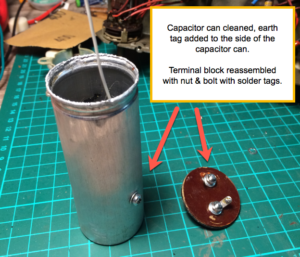 Once the old electrolytic capacitor was cleaned, a nut and bolt was used to attach a solder tag onto the inside of the capacitor. A wire was soldered to the solder tag that would then be connected to the common (negative) of the two new capacitors. As 24uf capacitors are not a standard value, a 22uf/350V capacitor was used for the 25uf capacitor. 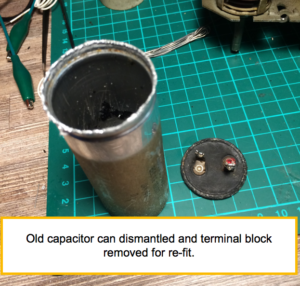 A new 16uf/350V capacitor was used as a direct replacement for the old 16uf capacitor (both capacitors where high temperature 105 degree C variants). 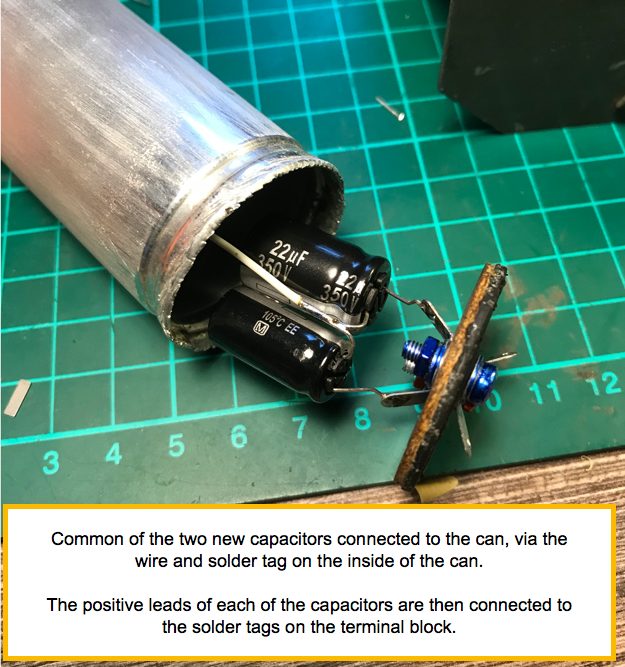 In the above image you can see that the common (negative) of the two capacitors is connected to the wire/solder tag fitted inside the capacitor can. 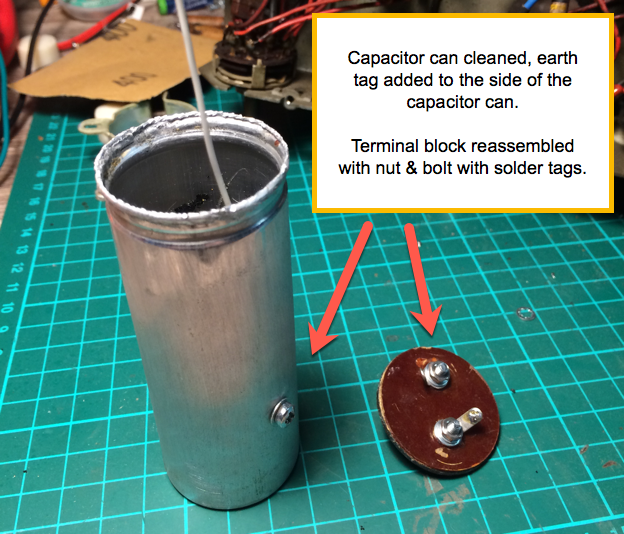 Each of the positive leads of the two new electrolytic capacitors, were soldered to the solder tags on the terminal block (note that the solder tag is on the outside of the terminal block to make it easier to connect the wires in the radio back to the capacitor). Each of the terminals were colour coded to make it easier to identify the value of the terminals. The Blue terminal is the 22uf Capacitor, while the Red terminal is the 16uf Capacitor. 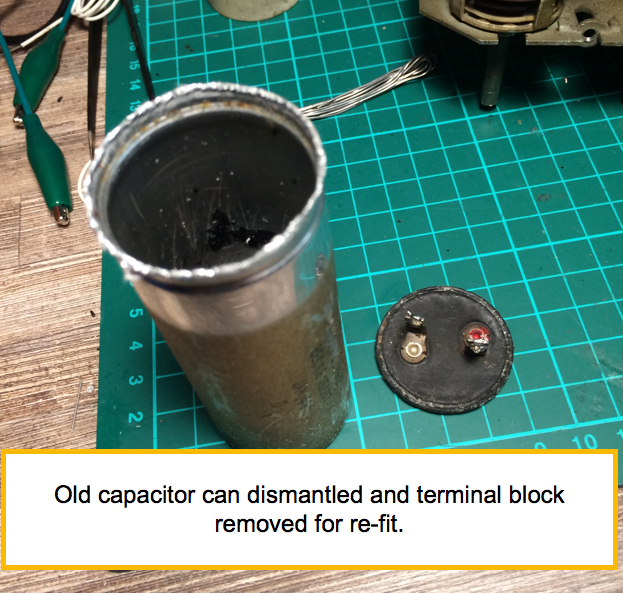 The terminal block was refitted into the capacitor can and the capacitor can was closed by slowly pushing the side walls in over the terminal block (as shown above). 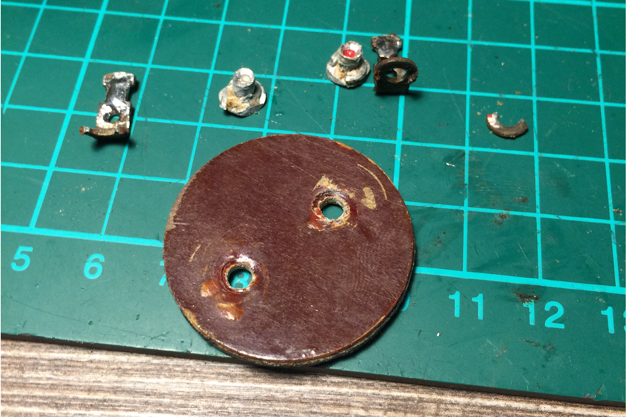 This was a slow process, as I did not want any creases in the metal (which tend to be problematic to remove). Once the seal was closed over the terminal block, the capacitor was tested and then re-installed back into the radio. In this video, I will be replaceing the 40 pin IDC connector that is used for the Tube connection. You will see that the original connector was broken in two places. On the left side of the connector the latching tab was missing, while on the right side of the connector the latching tab was broken. 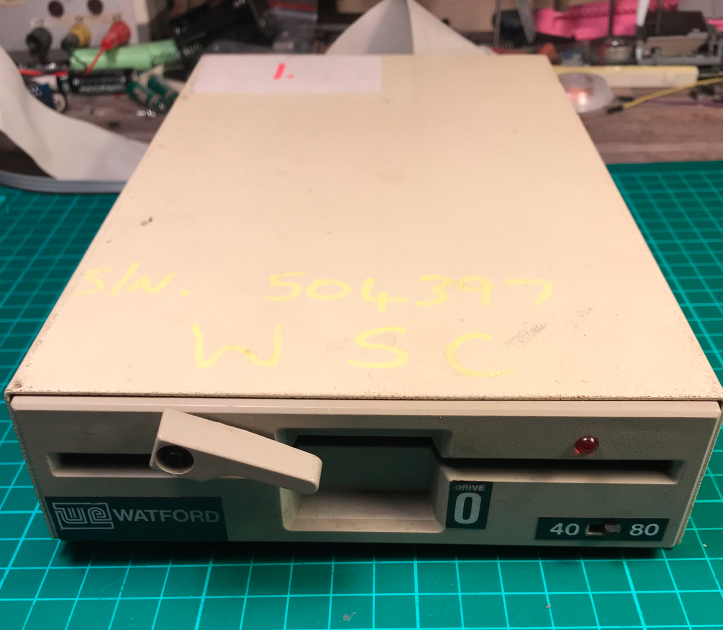 When I received delivery of the BBC B Micro I also received a single floppy drive for the computer. 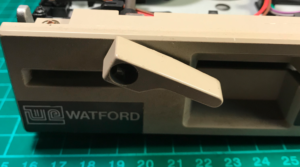 It is a Watford drive with a switchable 40/80 track option. The drive was dirty with a label fixed to the top of the drive. On the bottom of the drive, one of the rubber feet was missing, so this will need to be replaced. It will be better to replace all four feet at the same time. One problem with the drive that was initially identified was the leaver for the drive door was very loose. Here we show the upper and lower slack that is on the drive door leaver. I was hoping that this would be a quick fix, as I found it difficult to get parts for 5.25″ floppy drives. 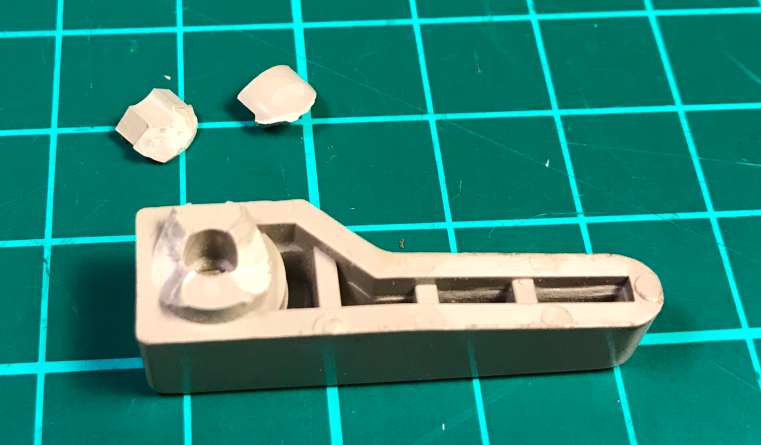 After removing the screw that hold the lever on the shaft, it was very clear what the problem was, old age and years of use had taken its toll this plastic part. 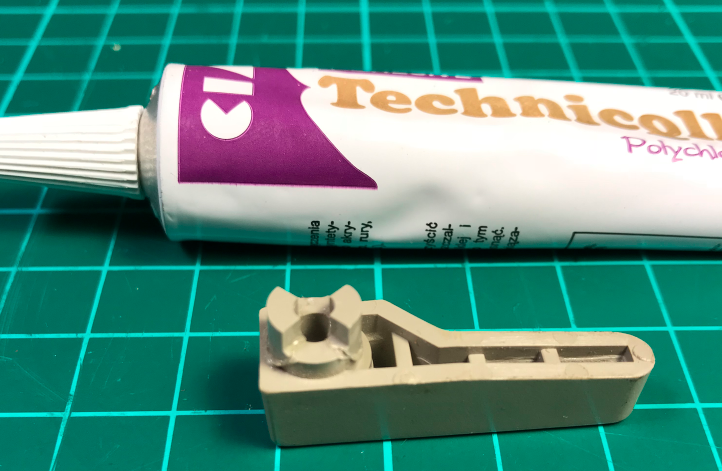 As the lever was made of ABS plastic, I was hopeful that a plastic glue would help repair the leaver until I can add some pin’s into the plastic to add some strength. 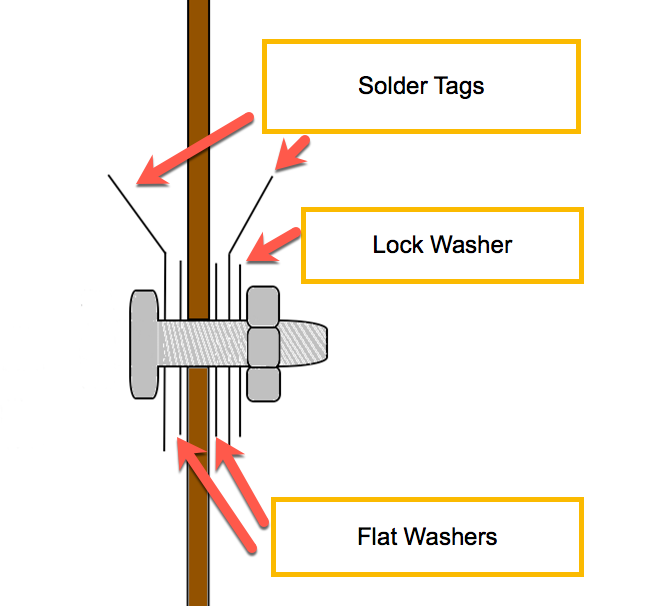 Here we see the leaver repaired with the two locating plastic tags. 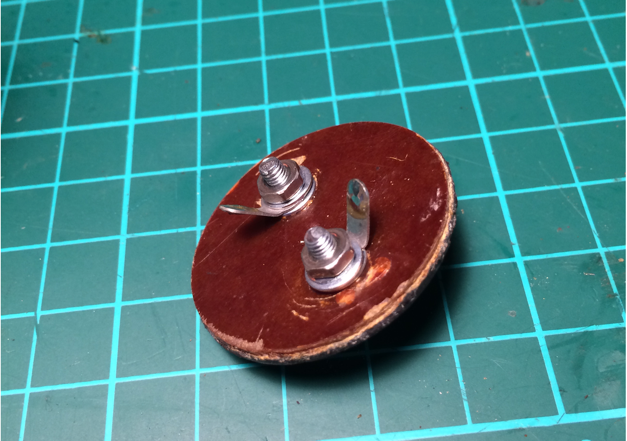 All that next to do, is to fit a couple of metal pins to provide some additional support. After looking inside the drive, it all looks in good order and more importantly it is all clean. 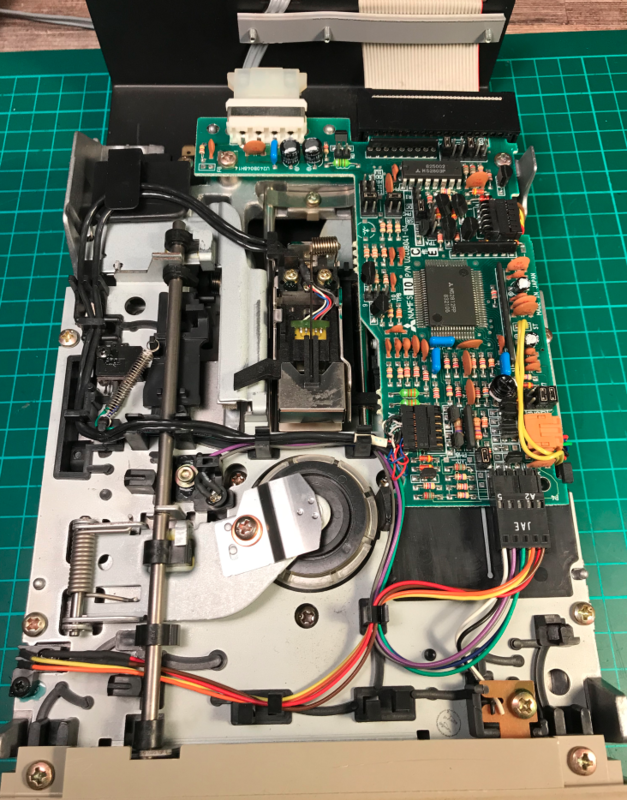 A quick clean of the drive mechanics and lubrication of the moving parts was all that was needed. The dive was re-assembled and is ready for testing.